For the next 12 days, the wife and I will be in Hawai’i. 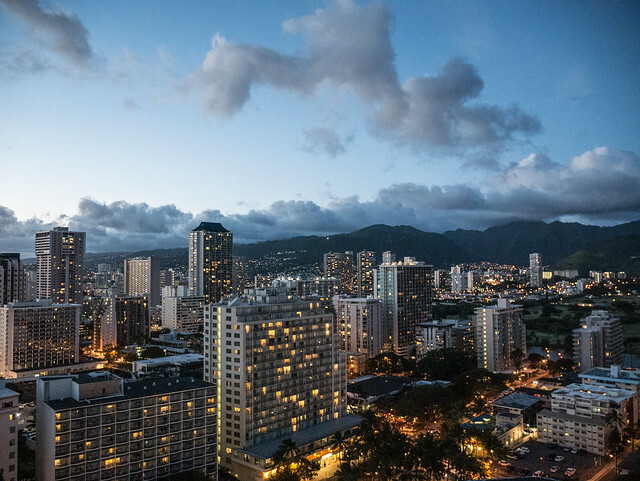 Here is a shot I took last night from our room at the Hyatt Regency Waikiki Beach. wow. i hadn’t realized what a big city it is. Honolulu (city and county) is indeed a big place. Thanks for helping make it so.